We are so grateful to guest blogger Josh Stein for joining us this past month. His fascinating post on the PhD-to-JD transition (here) sparked a great conversation about interdisciplinary and professional training (here and here). We also enjoyed his thought-provoking series of posts on "George Zimmerman and the Right to Violence." The full essay is available here, on SSRN. Thank you again for inviting me, Karen! I had a wonderful month as guest blogger. The Zimmerman posts were a lot of fun to write. I also really enjoyed putting together the top-ten piece I submitted on the post-Ph.D. J.D. experience. Most of all, I loved being a part of this great community. Please follow my twitter feed, as I try to keep it chock-full of interesting links and thoughts for legal history buffs. And enjoy the rest of your summer. I'd like to bid adieu with a short and favorite poem (I'm a big enough Stevens fan that I named my dog "Wally", in his honor). I'm not sure it has legal-historical relevance, but in the opinion of your humble guest blogger, it is a good way to say goodbye. Few historical events have had such tragic, widespread, and lingering consequences as the exportation of slaves from Africa. While the abolition of western Africa’s transatlantic slave trade is well documented, the events and legal framework that led to the abolition of the slave trade in East Africa remain practically untold. There, an unlikely hero championed abolition: Missionary and explorer Dr. David Livingstone. His method: an ambitious publicity stunt to dramatically change international law. This article will illustrate how explorer David Livingstone’s advocacy profoundly affected the legal landscape to restrict the slave trade in East Africa, and eventually dealt the deathblow abolishing it forever. Further, this article will illustrate how a lack of enforcement of the law and a policy of incremental restrictions on the slave trade, in lieu of outright abolition, was destructive to East and Central Africa, intensifying the slave trade with ramifications that can still be felt today. Finally, it will demonstrate, by modern analog, how strict enforcement of the rule of law is necessary in the developing world today. Ok, back to Hall, Finkelman, & Ely. In The People & Their Peace, Laura Edwards argues that a customary law of slavery emerged alongside and at times in defiance of the written law. One of her most arresting examples is the case of Jesse Ruffin, a slave who leaves his plantation for days on end, makes his own money, buys liquor, and visits friends – all in violation of both his master’s wishes and written law. A remarkable story in its own right, Jesse Ruffin happens to be owned by Thomas Ruffin, the author of State v. Mann (1829). For those of you who don’t know, Mann is infamous for the line that “[t]he power of the master must be absolute, to render the submission of the slave perfect,” a declaration that has won it a place in several primary source compendiums on slavery, including HFE. However, HFE makes no mention of Edwards in its note on Mann. Perhaps it should. Alternately, why not include one of the local cases that Edwards describes, showing how the customary law of slavery yielded unpredictable results? Moving to the Civil War, almost the entire HFE section on the war focuses on rights: first the rights of slave-owners to retrieve runaways, then the rights of slaves in free territories, then the right to secede, then emancipation and Reconstruction, and finally the denial of rights during Redemption. However, there is a structural aspect to the war that did not involve rights, per se, but still warrants attention. As Heather Cox Richardson demonstrates in The GreatestNation of the Earth: Republican Economic Policies During the Civil War (Cambridge,MA: Harvard University Press, 1997), the Civil War prompted a dramatic expansion of federal power, including the creation of a national currency, the enactment of federal banking law, and the imposition of a federal income tax. At least some of these developments warrant mention, arguably more so than both Inaugural Addresses of Abraham Lincoln, which are included in the collection. Why not cut one address and include something on national currency? Paul? Jim? In 1949, the Columbia University economist Carl Sumner Shoup helped lead a post-World War II tax mission to Japan. One of the principal goals of the mission was to assist in the reconstruction of the Japanese fiscal system. As part of this mission, Shoup brought with him not only his experience as an academic economist and longtime advisor to the U.S. Treasury Department, but also his deep intellectual commitment to fundamental tax reform. Throughout his career Shoup applied economic ideas about public finance to the practical issues of improving fiscal, political, and administrative institutions in redeveloping and lesser-developed nation-states. In many ways, though, Shoup was the culmination of a multi-generational tradition of research, scholarship, and policy guidance that can be described loosely as the Columbia school of taxation and development. This essay, which is a chapter in a forthcoming edited volume on the Shoup mission to Japan, provides a brief intellectual history of the Columbia school. 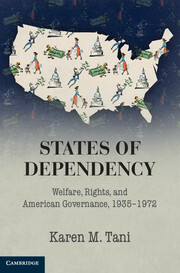 More specifically, this chapter traces the genealogical connection between the type of economic institutionalism that was prominent at Columbia in the early twentieth century and Shoup’s specific ideas about taxation and development. The aim is to provide some historical perspective on the principles and proposals that were central to the many Shoup tax missions and to his overall vision of a “prescriptive” or “political economy” branch of public finance. Posner Reviews Witt, "Lincoln's Code"
Yesterday we noted the release of Lincoln's Code: The Laws of War in American History, by John Fabian Witt (Yale Law School). Today we have a review by Eric Posner (University of Chicago), writing for Slate. The law of war has played a central role in debates about American policies toward al-Qaida under Presidents Bush and Obama, with critics frequently arguing that the U.S. government has violated the law of war or improperly cited it as support for its policies. Witt’s historical account helps explain why both administrations felt it necessary to deviate from a strict interpretation of international law. For many observers [of law of war violations during the Civil War], these examples admit of only one conclusion: that Lincoln chose to violate the laws of war when they stood in his way. He did not violate all the rules, but if one gets to pick and choose which rules to obey and which to violate, then the law lacks binding force. The law of war, which at the time was customary rather than embodied in treaties, was not worth the paper it wasn’t written on. Enthusiasts for the way that the Bush administration disregarded or rewrote the law of war to address the threat from Al Qaeda and the Taliban could cite none other than the sainted Lincoln as precedent. New Release: Witt, "Lincoln's Code"
Out next week from the Free Press: Lincoln's Code: The Laws of War in American History, by John Fabian Witt (Yale Law School). In the fateful closing days of 1862, three weeks before Emancipation, the administration of Abraham Lincoln commissioned a code setting forth the laws of war for the armies of the United States. The code announced standards of civilized conduct in wartime concerning issues such as torture, prisoners of war, civilians, spies, and slaves. The code Lincoln approved ultimately shaped the course of the Civil War. And when the war was over, the same code reshaped warfare the world over. By the twentieth century, the 157 articles of Lincoln’s code had become the basis of a new international law of war. European powers adopted the American code. International agreements like the Geneva Conventions incorporated and expanded it. In this pathbreaking and deeply original book, John Fabian Witt tells the hidden story of the laws of war in the first century of the United States–and of the extraordinary code that emerged from it to change the course of world history. Lincoln’s Code is the haunting and inspiring story of an idea in American history: the idea that conduct in war can be regulated by law. For many, the very idea of a law for war has seemed like an oxymoron. But with sweep and vitality, Witt unfolds the story of the cast of characters who invented the modern laws of war. Washington, Jefferson, and Franklin championed Enlightenment rules for civilized warfare. James Madison went to war in 1812 to vindicate them. Indian conflicts challenged and distorted them. The Mexican War quietly revolutionized them. In the Civil War, Lincoln and a small band of now forgotten figures helped remake those same laws to support Emancipation and advance the Union war effort. Three decades later, a new generation of Americans went into a war of American empire in the Philippines equipped with the very rules Lincoln had laid down. I received some thoughtful responses to my post on Madison and equality last Friday. Let's see if I can continue the line of argument here. Two books come to mind. The first is Laura Edwards' The People and Their Peace: Legal Culture and the Transformation of Inequality in the Post-Revolutionary South (Chapel Hill: UNC, 2009). Focusing on North and South Carolina, Edwards argues that inequality actually increased following the Revolution, as white males used the rhetoric of rights to undermine a collective legal culture focused on preservation of the peace. In a fascinating recovery of local cases, Edwards shows again and again how a system of "legal localism" evolved in the slave South, a system that operated free from centralized oversight and oftentimes in contradiction of state statutes. 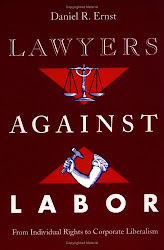 (p. 62) For example, legal localism "resulted in the periodic prosecution of whites for violence against slaves," even in instances where "historians' readings of statute and case law suggest that such cases should not exist." (p. 62) Despite the rigid slave codes of South and North Carolina, in other words, local courts carved out a much less rigid, particularized body of law that "allowed outcomes to depend on specific situations." (p. 62). Yet, such localized arrangements suffered as white men began to increasingly adopt a "political discourse of rights" that not only intruded on the legal localism governing master/slave relations but also implicated the rights of free blacks. As rights rhetoric permeated, free blacks found themselves in increasingly unequal positions. Dan Sharfstein picks up a similar development in his recent book The Invisible Line: Three American Families and the Secret Journey from Black to White (New York: Penguin, 2011). 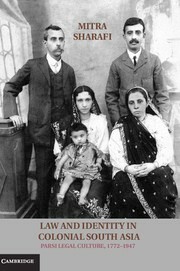 A great read, Invisible Line demonstrates how racial ideology “helped maintain the idea that all white men were equal citizens in a country increasingly stratified by wealth,” particularly at a moment when ever-larger numbers of whites found themselves living in frontier conditions akin to “the lowest peasantry of Europe” (Sharfstein, p. 47, 49). Hopeful that migration west might improve their plight, settlers found themselves not on Jay Gitlin’s bourgeois frontier, but a complex battleground where life was profoundly unequal, and where the racial identities that bolstered slavery assumed a significance independent of slavery, a place where the struggle for resources and the struggle for identity merged, and where whiteness became both a legal status and a destination. This is Sharfstein’s most salient point. While those who argue that America is more unequal today than ever before might try to cordon off slavery as an exception, Sharfstein argues that behind the law of slavery rested a much larger justification for inequality based on race, one that did not simply “separate Africans and Europeans” as free and slave, but “spurred some people of African descent to try to escape their classification.” (Sharfstein, p. 21) This body of law, Sharfstein demonstrates, survived well into the 20th Century. We hope Linda's students, friends, and colleagues will join us to honor and celebrate her career at a symposium to be held Oct. 5-6, 2012, in Iowa City. 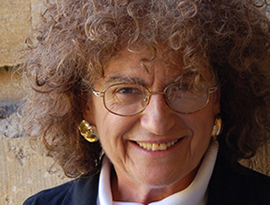 The theme of this symposium, "A World of Citizens: Women, History, and the Vision of Linda K. Kerber," draws on important threads in Linda's work over the decades of her career, and especially on her moving 2007 AHA Presidential Address, "The Stateless as the Citizen's Other." As a scholar of the rights, obligations, and complexities of citizenship; as a member of the generation which brought the study of women's history into college and university curricula; and as the friend and teacher of another generation of historians, Linda's influence reaches deep into our profession. The Symposium will be held at the Old Capitol Senate Chambers on the University of Iowa Pentacrest. On Friday, October 5, the Symposium begins at 9:30 and ends at 4:45; it will be immediately followed by a reception and dinner at the Levitt Center for University Advancement. On Saturday, October 6, the Symposium resumes at 9:00 and ends at 4:15; a closing session and reception will be held at 4:15-6:00 at the Iowa Women’s Archives followed by a reception at Prairie Lights from 6:30-8:30. If you plan to attend, please follow the link [here] to the Center for Conferences and scroll down to "A World of Citizens" in the October list of conferences. When you do, you'll be asked to create a password so that you can register for the symposium, order lunches and your banquet ticket, and indicate your intention to attend the Prairie Lights reception. "Judicial Ethics and Supreme Court Exceptionalis"
"Data-mining, Analysis, and Citizen Activism: Can we create a new market for monitoring and regulating economic activity and reverse the trend toward economic feudalism?" Oct. 4 "Making apartheid work: Black workers, South African labor law, and the struggle for racial justice"
In the late nineteenth century the Japanese elite embarked on an aggressive, ambitious program of modernization known in the West as the “Meiji Restoration.” In a remarkably short period of time, they transformed Japan: what was a thoroughly traditional, quasi-feudal welter of agricultural estates became a modern industrial nation-state. Since the inspiration for these reforms came from the West (the Japanese had seen what the Western Powers had done in China), the question of women’s status had to be dealt with. How did the Japanese–men and women, elite and commoner–do it? In A Place in Public: Women’s Rights in Meiji Japan (Harvard University Asia Center, 2010), Marnie Anderson attempts to answer this question. It’s a fascinating story, and Marnie does a terrific job of telling it (despite, I should say, of working in a remarkably thin and difficult documentary environment). This book is essential reading for anyone interested in East Asian and Gender Studies. "'We Shall Repeal the Twentieth Century': Murray Rothbard and the Making of Radical Libertarianism"
"The Paradox of Patronage: Influence, Dealing, and Moral Character in mid-20th century Indian Election Law"
"Legal Culture as Impetus to Action: The Gary Code and Progressive-Era Capitalism." "'A Most Offensive Outrage against One So Young': Defining Childhood and Sexual Harm in South Carolina's Criminal Courts, 1885-1905." "Antitrust as Technology Policy: The Case of Computing." Rahman, "Democracy and Productivity: The Glass-Steagall Act and the Shifting Discourse of Financial Regulation"
K. Sabeel Rahman (Reginald F. Lewis Fellow, Harvard Law School; PhD Candidate (Government), Harvard University) has posted "Democracy and Productivity: The Glass-Steagall Act and the Shifting Discourse of Financial Regulation." The article is forthcoming in the Journal of Policy History, Vol. 24, No. 4 (2012). Regulatory reforms are not only the product of policy innovations; they are also shaped by the particular narratives, discourses, and arguments advanced in favor of or against reform. This paper examines the discourse of banking reform around the Glass-Steagall Act of 1933. The debate around the Act exemplifies a broader shift in discourses of financial regulatory reform, away from a previous era emphasizing the need to make concentrations of economic and political power democratically accountable, towards a new discourse grounding regulatory reform in the need to promote productive economic activity by preventing conflicts of interest and excess speculation. 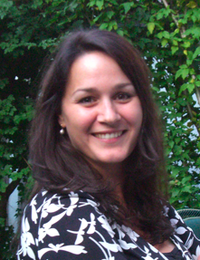 After exploring this shift in the rhetoric of reform around Glass-Steagall, this paper concludes by suggesting that this shift had lasting repercussions for the politics of financial regulation, conducing more readily to deregulation in the 1980s and 1990s, and undermining more aggressive attempts at financial reform in 2009. The article is available for download here, on SSRN. If the Constitution aimed to secure inequality in the United States, how did average people respond? Many turned to evangelical religion, as I will demonstrate in a future post. Many also moved west. According to Edmund S. Morgan, tensions generated by class differences in Virginia encouraged founders like Thomas Jefferson to encourage westward expansion. This, most scholars argue, led directly to white/Indian conflict. However, Native Americans were not the only inhabitants of the American West at the time. 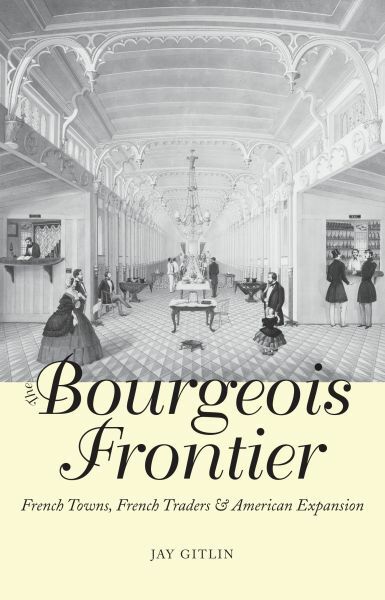 As Jay Gitlin demonstrates in Bourgeois Frontier: French Towns, French Traders, and American Expansion (New Haven Yale University Press, 2009) much of North America's "wilderness" was not only occupied by Indians but also French colonials, a point that has “never found a place in American history textbooks." (BF, p. 2) According to Gitlin, “the French plugged Indian producers and consumers into an international market economy. Merchants such as Pierre Laclede and August Chouteau facilitated exchange and encouraged regional development from a pioneering urban base." (BF, p. 15) The basis for this exchange was fur, and the French conducted business with “deerskin currency,” or “bucks," a point noted in James Neal Primm's Lion of the Valley: St. Louis Missouri, 1764-1980 (St. Louis: Missouri Historical Society, 1998). With this currency they bought “silks, linens, and lace … fancy bonnets and shoes." 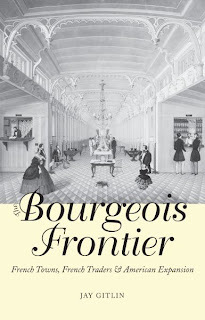 Merchants labored up the Mississippi from New Orleans, averaged 10 miles a day, bringing “silver, iron, and copper ware, mirrors, clothing, blankets, and Iberian wines.” Members of a frontier bourgeoisie, the Chouteaus had more in common with elites in New Orleans and Paris than the frontier-people of North America. The Chouteaus also enjoyed a different relationship with Indians, arguably a more equal one. According to historian James Primm, “[T]wenty-three Indian tribes regularly … received presents at [St. Louis],” Laclede’s company presenting “annual gifts of blankets, mirrors, vermilion, awls, knives, guns, powder and ball, corn, tobacco, cloth, and other commodities, including brandy at times, to the tribes.” Laclede himself “ceremoniously gave elaborate large and small medals, fancy plumed military hats, and even uniform jackets to the chiefs – usually distributed according to rank.” Once the Louisiana Purchase was made, however, Jefferson moved quickly to stifle this trade, in part by forbidding the French from providing Indians with firearms in exchange for fur. "The trade which is carried on with the savage nations," wrote the French citizens of St. Louis in 1803, "is founded entirely on fur peltries, and almost all are unable to procure them except by means of firearms." (Letter from Merchants of St. Louis, 1803, Territorial Papers of the United States). Put simply, if the West was to be a safety valve for class tensions in the East, then Indians had to be disarmed. Whatever the right to bear arms meant, it did not necessarily mean the right to trade them. More on "Before Roe v. Wade"
Walker on Tomlins's "Freedom Bound"
Lim, "Immigration, Asylum, and Citizenship"
Grisinger's "The Unwieldy American State"
Newmyer's "Treason Trial of Aaron Burr"